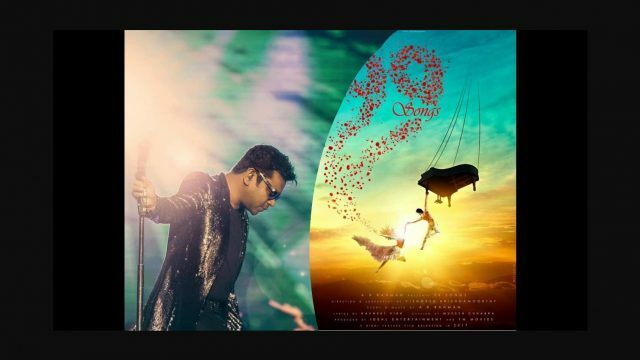 AR Rahman Writes and Produce his first film called 99 Songs is going to release this June, 21. He himself share this information via his official Twitter handle. He explain his excitement about the release of his very first film as a producer and writer. 99 Songs is a movie about a young and passionate love story which made under the production company YM Movies (owned by AR Rahman) and Jio Studios. See for Yourself What Rahman Ji has quoted about this movie. This movie is going to release in three languages i.e. Tamil, Telugu and of course in Hindi. The team has decided to release this movie on 21st June 2019. Vishwesh Krishnamoorthy directs this movie and also contribute as the writer. Talking about the cast this movie has Edilsy Vargas, R. Bhakti Klein, Ashwath Bhatt and others. Many of you haven’t notice these guys because they are fresh faces in the industry. Well, now we talk about faces, some of the familiar one you’ll find in this movie are in supporting roles like Manisha Koirala and Lisa Ray. Recently, this Grammy and Oscar Indian music director team up with Marvel studio and release an anthem for Avenger Endgame. Well, the Anthem not able to bend my attention because in my opinion it has not that touch. Anyways, we definitely wants to check out India’s best music director work as a writer or Producer. Fingers crossed for 21st June 2019.